What: Acquisitions editor for Gutter Books and producer of Lip Service West, a “gritty, real, raw” reading series in Oakland, CA. 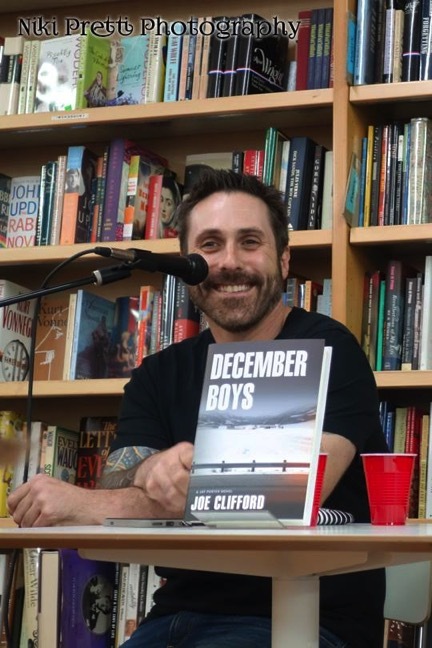 He is the author of several books, including JUNKIE LOVE, LAMENTATION, and DECEMBER BOYS, as well as editor of TROUBLE IN THE HEARTLAND: CRIME STORIES BASED ON THE SONGS OF BRUCE SPRINGSTEEN. Congrats on the release of DECEMBER BOYS, your latest Jay Porter novel. What can you tell us about the latest installment in the series? At least I hope the “best writing” part is true. The broken people and not going down without a fight part certainly is. I love Springsteen. This entry was tagged #amreading, #amwriting, #interview, #qanda, December Boys, Jay Porter, Joe Clifford, Lamentation, Oceanview PUblishing, The Flash Fiction Offensive, Trouble in the Heartland, Unloaded. Bookmark the permalink.